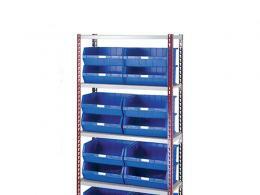 These small parts bin bays are a great way to get organized. 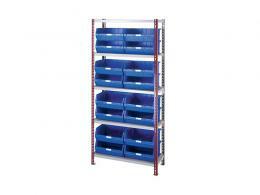 Complete with 5 levels of storage and 16 sturdy blue bins they can store everything from PVC piping to nuts and bolts. The size 6 bins (175mm x 416mm x 375 mm) are built to last and the FSC compliant chipboard shelves will keep them properly supported for many years to come. Anyone who works in a trade or in a home shop has that specific place where they put everything that’s going to be stored or organized later. The problem is that sometimes later never comes and that pile of stuff grows uncontrollably. These small parts bin bays are the perfect place to place all of your leftover parts, tools, or other materials that would normally just be left in a pile or single bins. Avoid sorting through one bin later by organizing your stuff into multiple easily accessed bins now. The number of tools that an electrician, carpenter, plumber, or any other tradesperson has is astounding. They might not all be used in every job, but they all come in handy eventually and keeping them well organized and where they can be easily found is important. 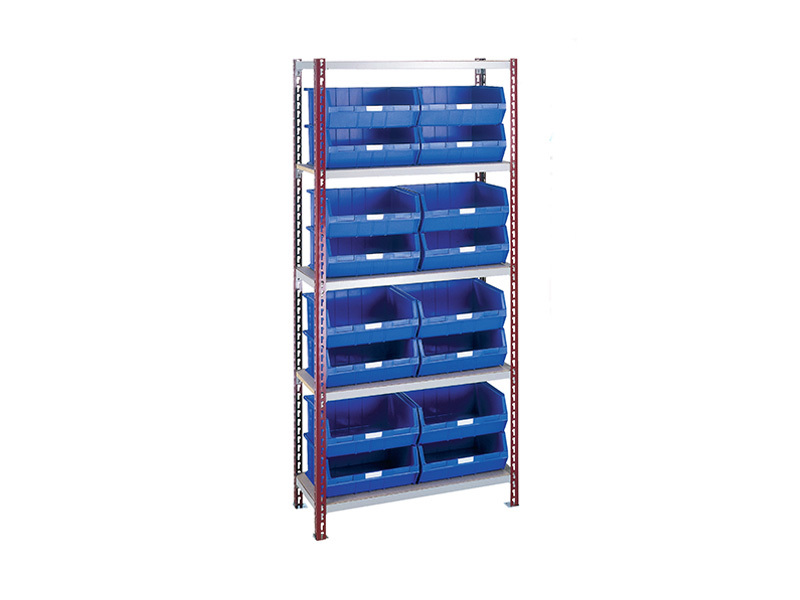 The same holds true for parts and materials, which is why these small parts bin bays are the perfect way to keep everything organized and easy to find. 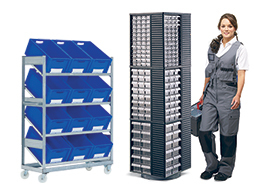 The Workplace Depot provides free delivery within 15 to 18 working days in the UK mainland excluding the Highlands. This product comes with a 1 year parts and labour warranty, which ensures customer satisfaction for up to 1 year after the purchase date. If during this time you’re not satisfied with this product The Workplace Depot will refund or exchange it. The Workplace Depot also provides a price match guarantee, which states that if you find this items at a better price that price will be matched.